Hi all! I haven’t been very active lately, and that’s mostly due to my schedule heating up in the past weeks. I’ve had a lot to do and very little time to do it. Unfortunately that means I’ve pushed reading and blogging to the back burner, but I wanted to pop in because I recently finished an amazing book that’s set to come out soon! This book was sent to me for review by the publisher. That does not affect the way I read and reviewed this book in any way. Thank you, Little, Brown! I had to set this down for a second because I had to read a different book by a certain date, but once I was done with it I came right back to L&OCP. This was a quick, sweet read altogether. I couldn’t wait to see what would happen, and I think it addresses the topic of mental health in an honest light. Between starting and finishing this book I had to read two books to prepare for interviews I had. (Hopefully I’ll have more to share on that later!) 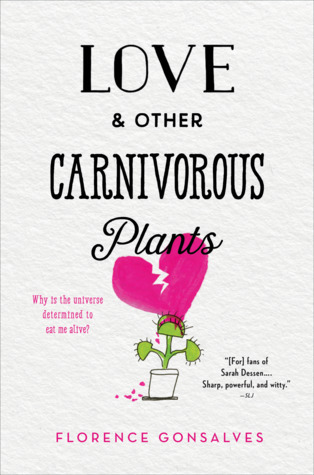 I was a little disappointed I wasn’t able to finish before those others, but that meant I couldn’t wait to get back to Love & Other Carnivorous Plants. I was curious to know what would happen, and I found Danny to be a compelling character. 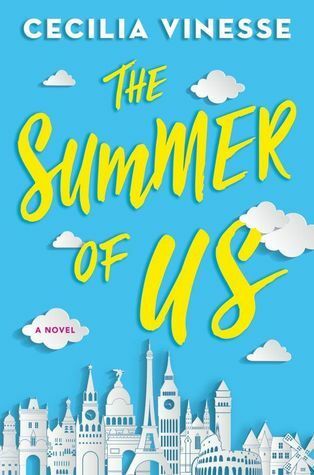 The whole of the story focuses on how Danny struggles with the changes that college brings and how she feels unmoored going to Harvard. Something happens with her long-time best friend Sara that triggers Danny’s self-destructive behaviors. It’s interesting to see how Danny picks up the pieces afterward and how she decides to handle going to treatment. This book does a good job of honestly portraying mental health. As someone who also struggles with mental health issues, I felt this was written with sensitivity and care without being too filtered. I know this isn’t representative of everyone’s experience with mental health, but I found it to ring a little true for me. Another thing I really loved about this book was the way it talked about college. I’m currently finishing up my freshman year and I can attest how hard the transition is. I can’t imagine ever going to a school as competitive as Harvard. I feel that a lot of the emotions that Danny felt and the change in her friendship with Sara are accurate in terms of what can happen. Again, I know this isn’t representative of everyone’s experience at college, but friendships change a lot when you go to college. Some adapt and flourish, others fade away, and some become broken beyond repair. It’s hard when things change. It’s hard when what you thought to be true turns out to be something else. I’ve had my fair share of changing friendships since coming to school, and it’s been hard. My heart went out to Danny and Sara as they tried to repair their relationship. Overall, this book was compelling and I highly recommend it, especially to college freshmen or those soon to be one!